On April 22, Realme will be holding an event in which a new smartphone will be announced. The phone will be the Realme 3 and it might be accompanied with the Realme C2 entry-level smartphone which will be the successor of Realme C1. Below are the specifications we have gathered so far concerning the Realme C2 budget device. According to some reliable sources, the Realme C2 will come with a major upgrade over the Realme C1 smartphone. The phone will be equipped with Helio P22 SoC instead of the Snapdragon 450 on its predecessor. On the camera aspect, it will be coming with 8-megapixel selfies snapper instead of the 5-megapixel on the Realme C1. Apart from that, the handset will feature a waterdrop notch which will offer a large screen size. For now, we don’t know the exact screen size, nor the screen resolution and density. Furthermore, the phone will be coming with a combo rear camera that will consist of 13-megapixel with the additional 2-megapixel secondary lens. The version of the phone is not yet confirmed, but it will come with ColorOS 6.0 customized user interface. The handset will be receiving power supply from a massive nonremovable 4,230 mAh. On the memory, the phone will be available in two variants, featuring 2GB + 32GB and 3GB + 32GB which will be expandable via micro SD card. The Realme C2 will still be selling under a budget device with a price tag of $115. As for the Realme 3 Pro, it will be powered by Snapdragon 710 chipset and it will have support for VOOC 3.0 fast charging. The handset will come with a better camera set-up that will feature night mode and slow-motion video shooting. 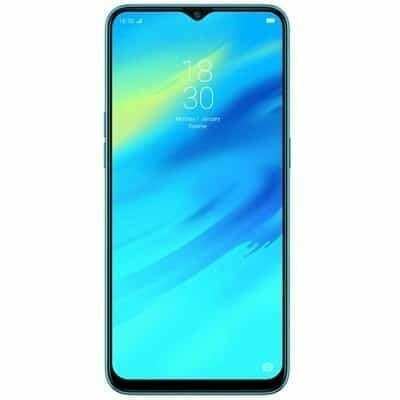 It will have a screen display size of 6.3-inch IPS LCD display with a waterdrop notch. The front camera is 25-megapixel with Sony IMX519 16-megapixel + 2-megapixel rear cameras and it has a nonremovable battery capacity of 4,000 mAh.